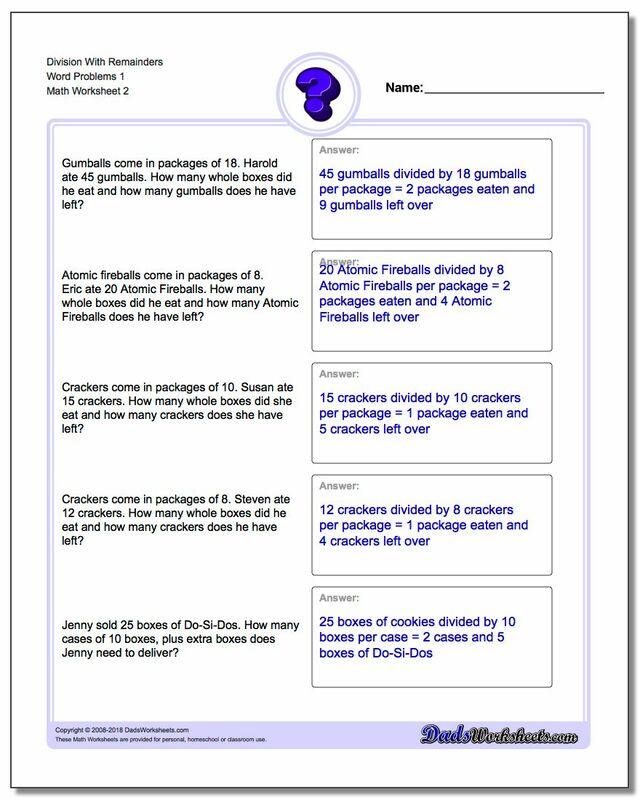 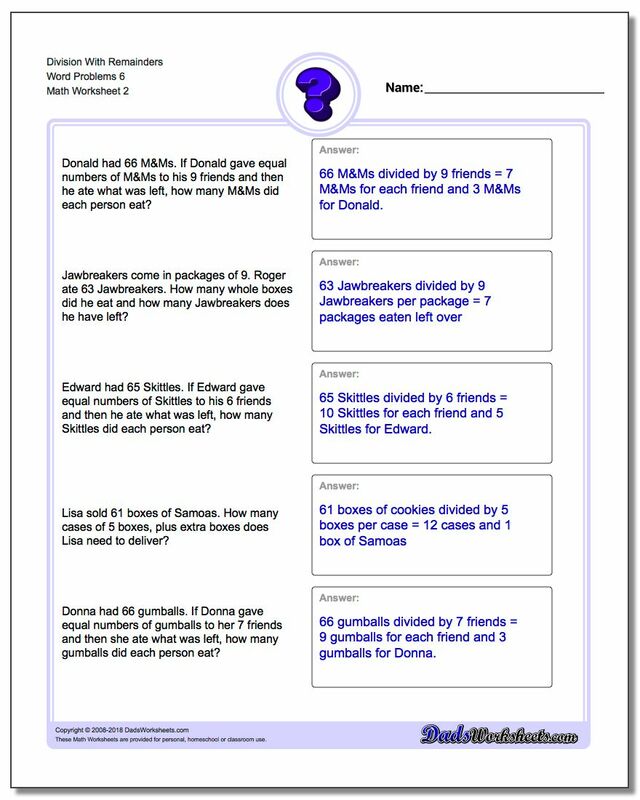 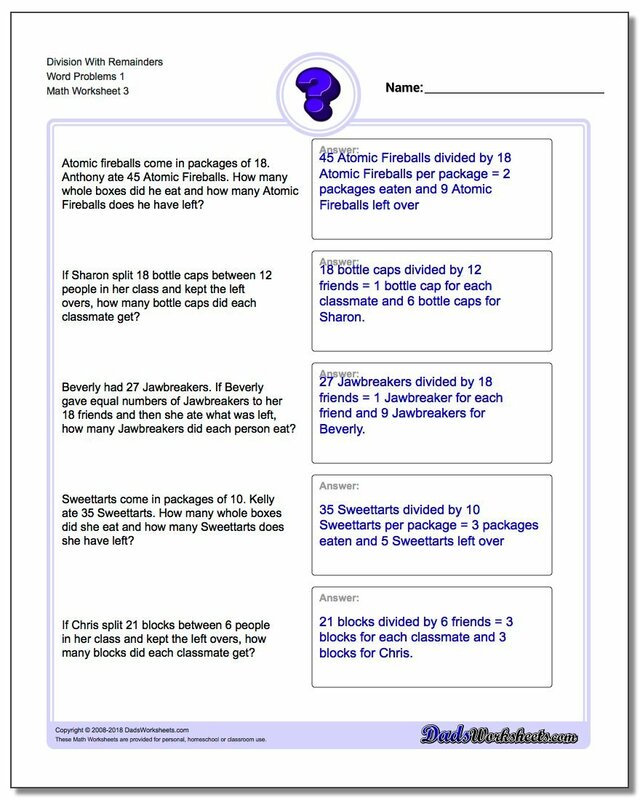 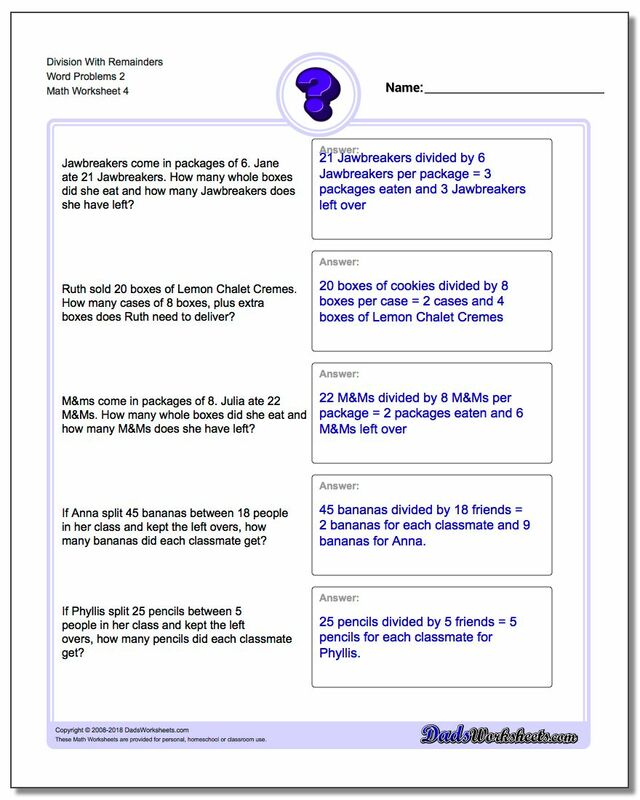 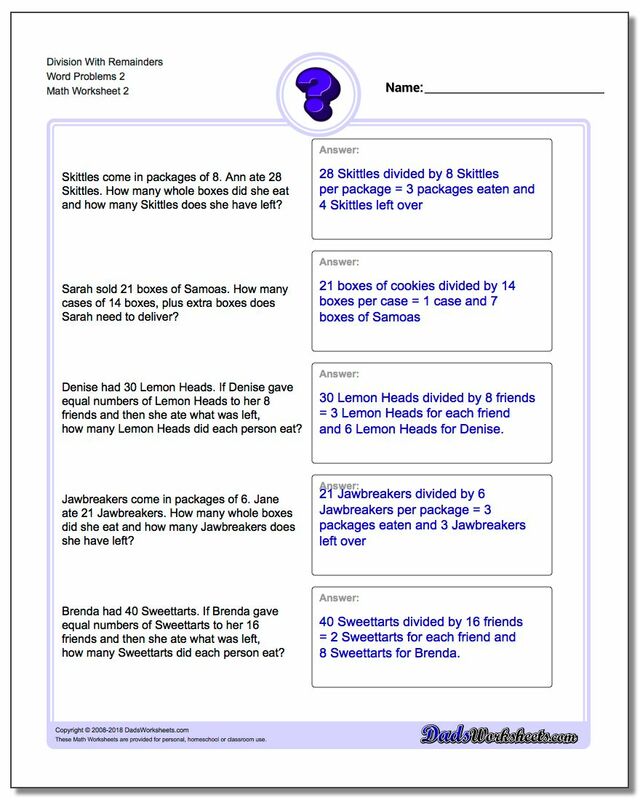 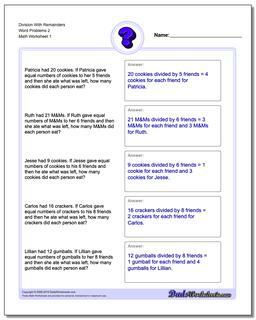 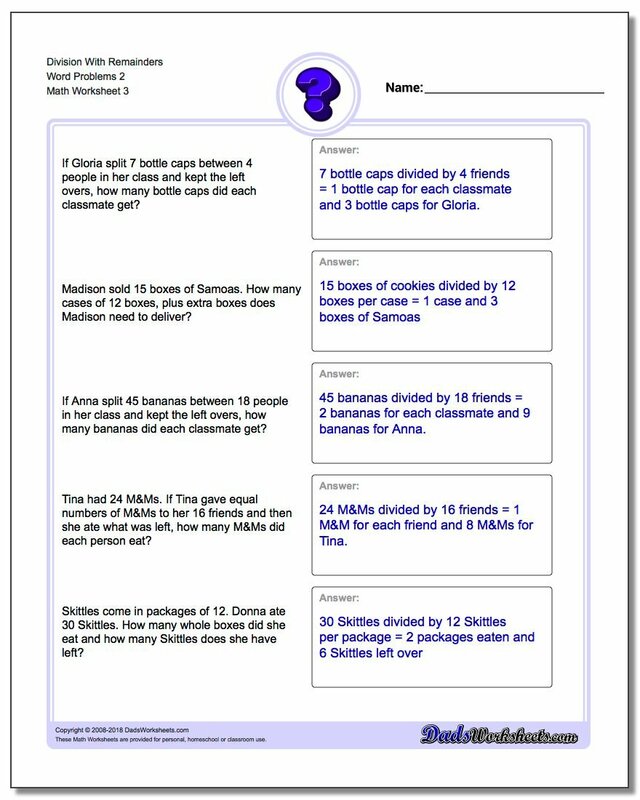 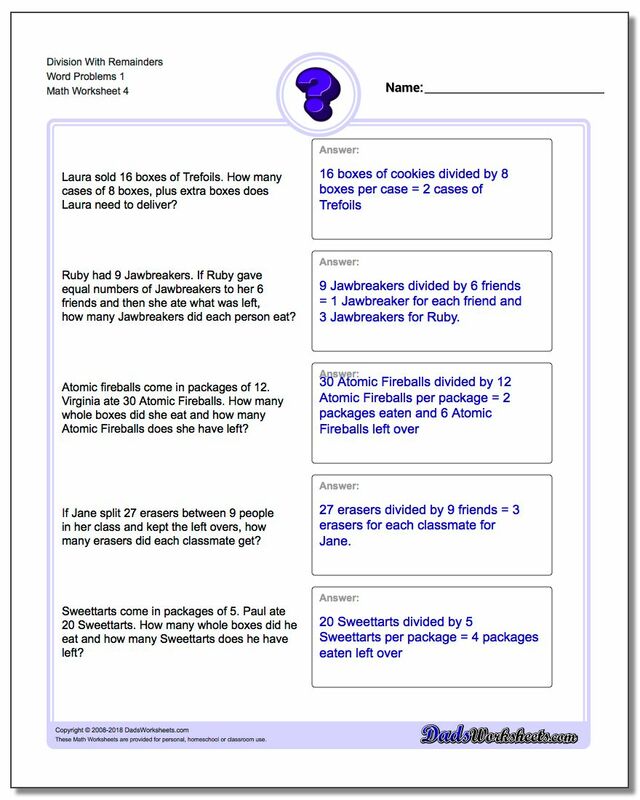 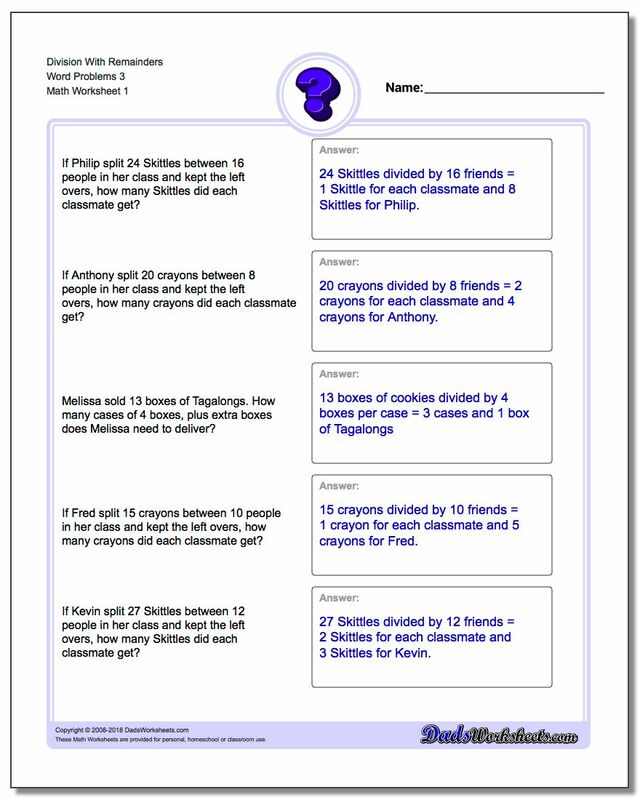 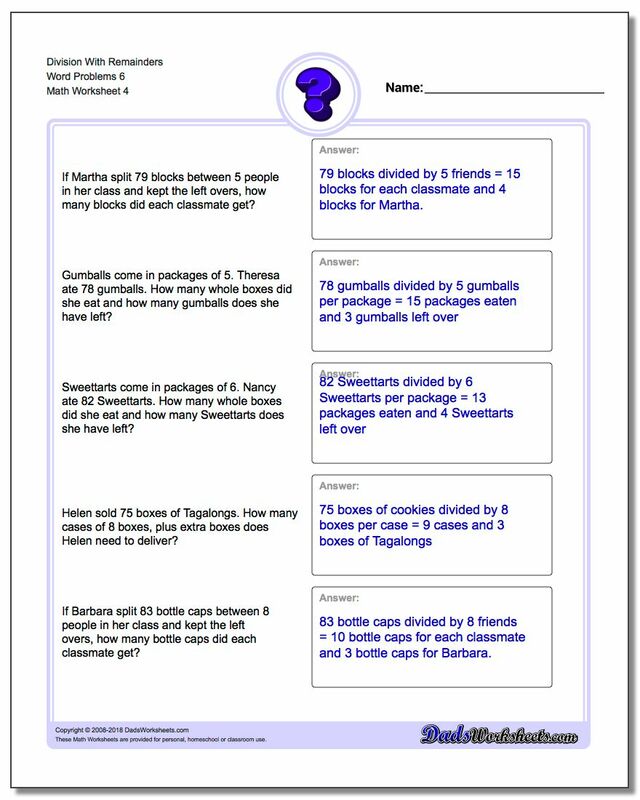 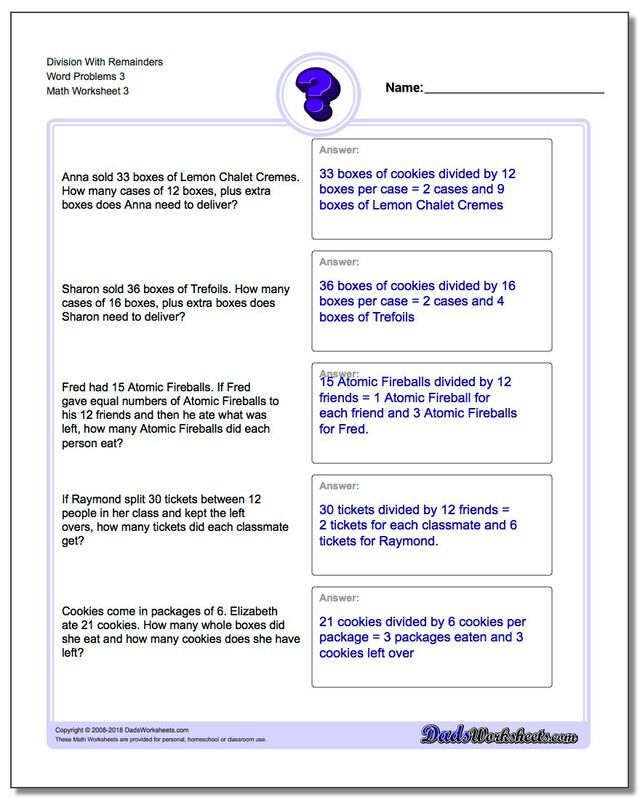 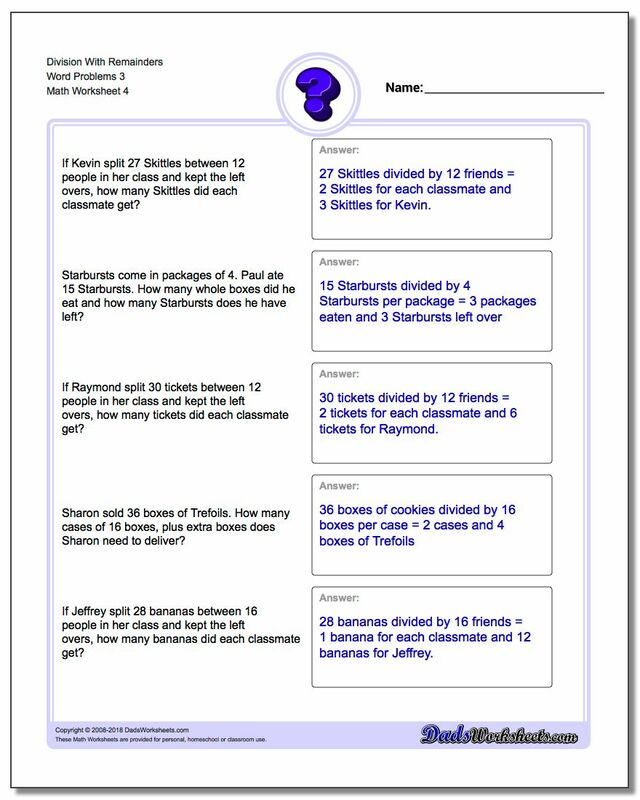 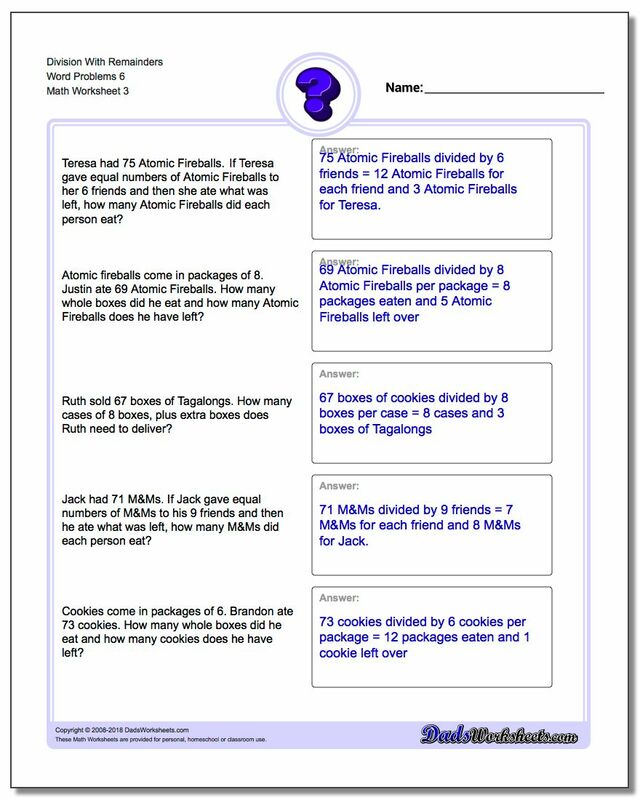 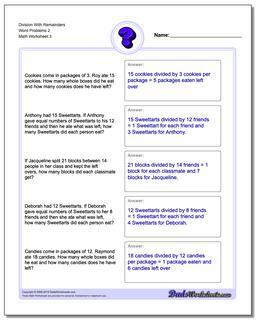 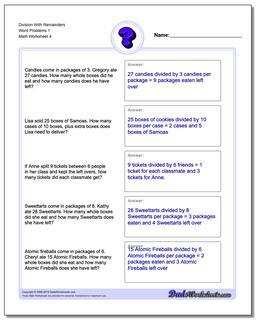 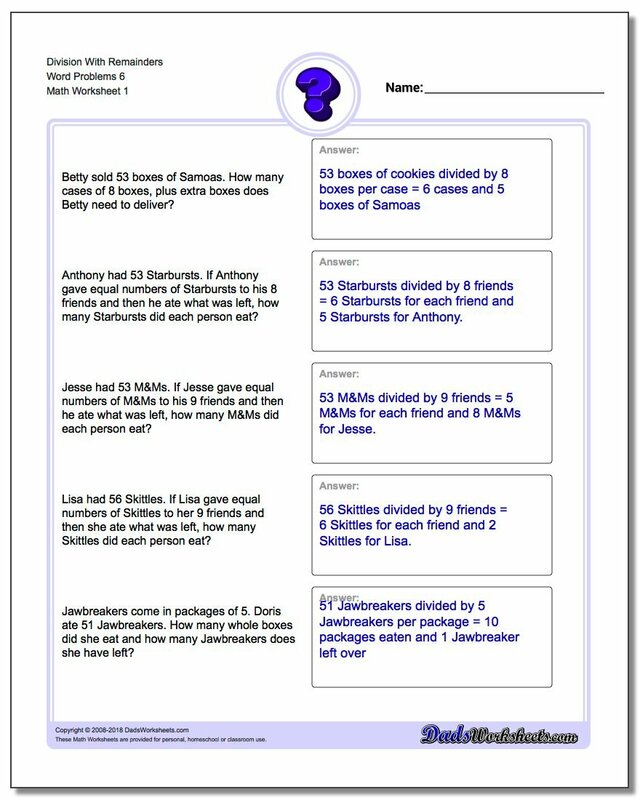 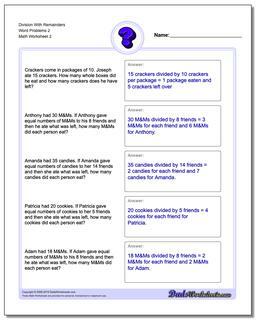 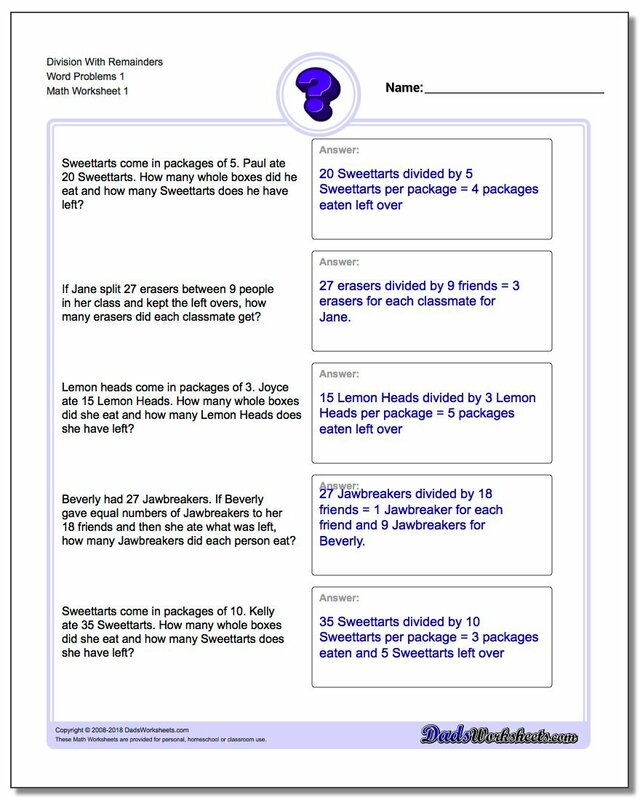 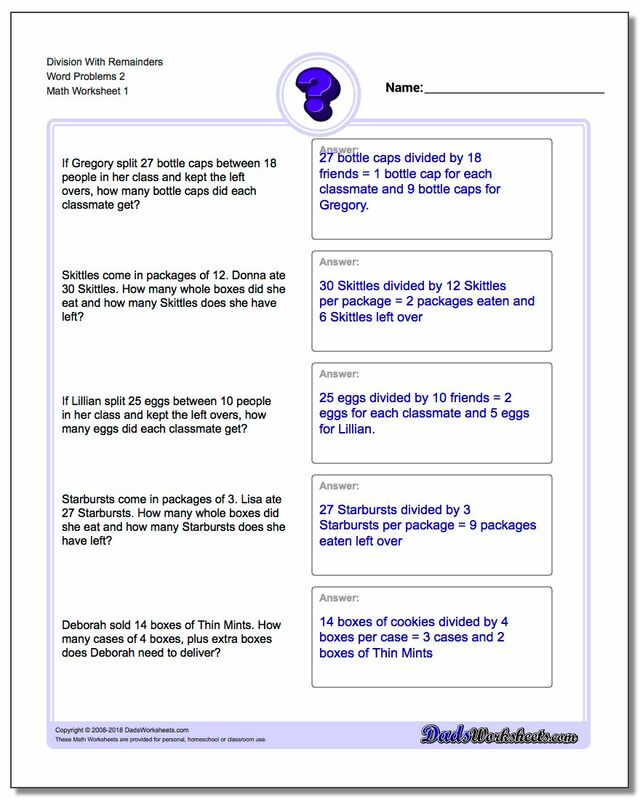 The worksheets in this section are made up of story problems using division and involving remainders. 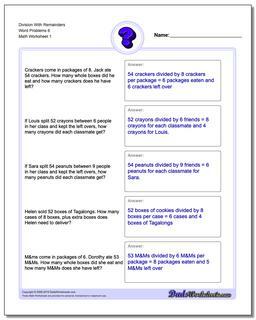 These are similar to the Girl Scout problems in the prior section, but with different units. 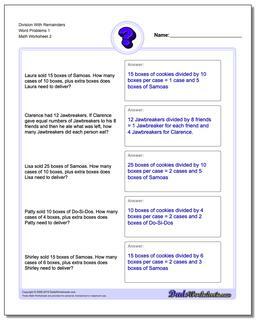 The worksheets in this section are all about division word problems where the quotients include remainders. 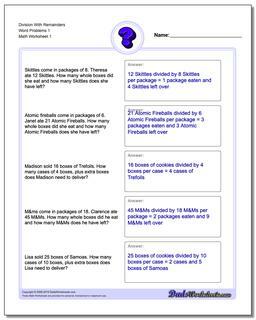 These are more general versions of the Girl Scout Cookie worksheets described in the previous section. 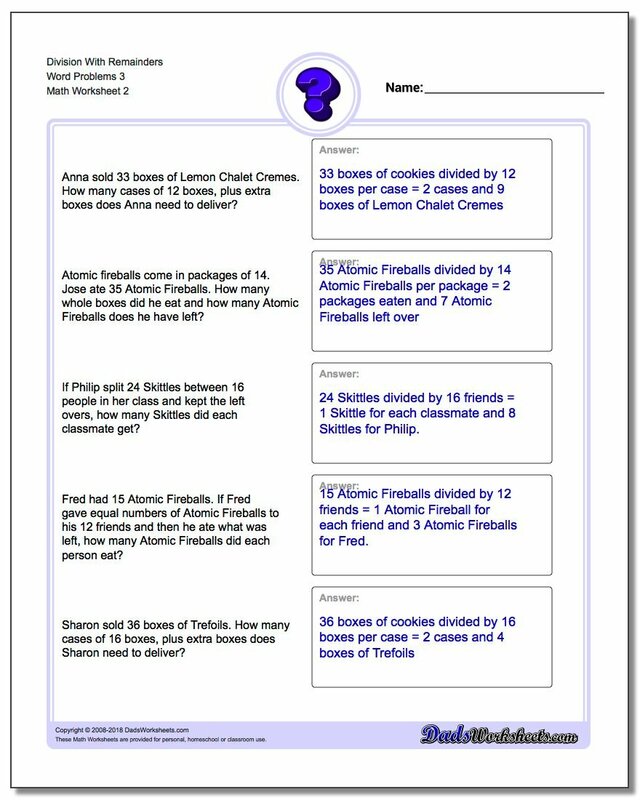 These problems are a common, and slightly more complex variation of many of the division problems where students are also required to figure out how much is 'left over' after some sort of partitioning.